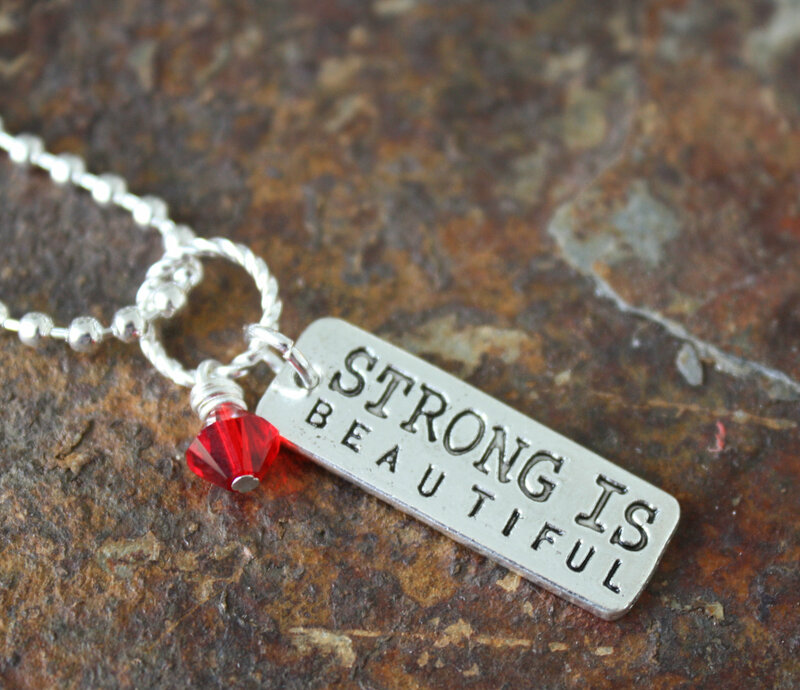 This necklace says it all…Strong is Beautiful. 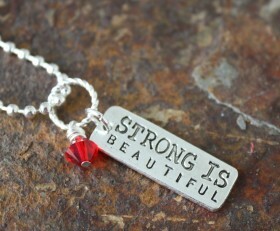 Whether you workout, face issues in your life or just want to show how you feel, this necklace is perfect. Simple, but gets the point across. Categories: New, Running Jewelry, Running Necklaces, Triathlon Jewelry, Working Out.